← Marshall Islands vs big nuclear – will the tiny island get the justice they deserve? Love trees? Then celebrate – 21 March is the International Day of Forests! Without healthy, thriving forests, our planet cannot sustain life. But they are facing serious threats from human activity. As much as 80 percent of the world’s forests have already been degraded or destroyed. 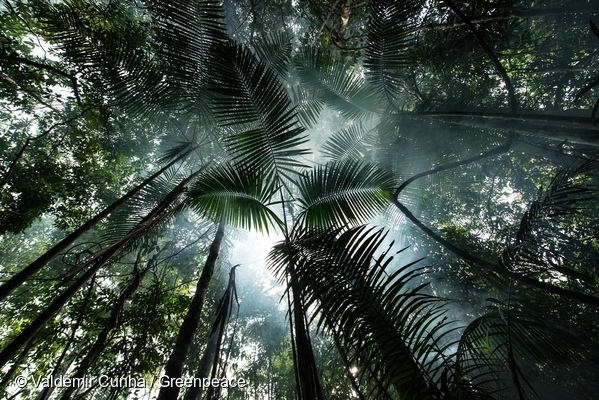 The good news is that people are fighting back to protect these crucial parts of our planet. Here’s a look at eight different people-powered fights for forests from all over the world. More than a quarter of Indonesia’s forests have disappeared in the past 25 years, destroyed for products like paper products and palm oil. Even worse, the destruction from these industries is driving conditions that fuel immense forest fires – displacing people and wildlife, and sending massive amounts of carbon into the atmosphere. Consumers all over the world are demanding that international brands using products like palm oil act to stop this forest destruction. Join the call to protect the rainforests of Indonesia! In February, we celebrated the protection of Canada’s Great Bear Rainforest – one of the largest remaining coastal temperate rainforests on Earth. A staggering 85 percent of the forest, totaling 3.1 million hectares, will now be off limits to industrial logging. When the campaign started in the early 1990s, less than five percent of the rainforest was protected. This victory was only possible because environmental groups, Indigenous Peoples, government officials, forestry companies and everyday people pushed for it. Learn more and spread the good news about the protection of this incredible forest! Cattle ranching is the single biggest use of cleared rainforest in the Amazon. Nearly 80 percent of deforested areas in Brazil were used for pasture as of 2009. The survival of the Amazon rainforest is fundamental for numerous plant and animal species, and for many Indigenous communities that depend on healthy forests for their livelihoods. That’s why people in Brazil are demanding that Amazon destruction be taken off their plates – for major supermarkets to stop supplying cattle connected to deforestation. Want to cut down your own meat consumption for the environment? Make a pledge here. “This is what climate change looks like,” said David Bowman, Professor of Environmental Change Biology at the University of Tasmania. Earlier this year, fires ravaged areas of Tasmania, Australia’s island state. Caused by dry lightning strikes, the fires have destroyed tracts of ancient World Heritage-listed forests. Some of the trees were over a thousand years old. In 2015, Tasmania experienced its driest spring on record and record-breaking high temperatures in December. The fires in Tasmania are a clear reminder that the time is NOW to address climate change. The Tapajós River, in the heart of the Amazon rainforest, is under threat. The Brazilian government is gearing up to build a mega-dam that would create a reservoir the size of New York City, threatening the livelihoods of the Munduruku Indigenous People, and destroying precious ecosystems. Greenpeace has joined Munduruku communities in fighting the mega-dam project. Together, we can keep the Tapajós alive! In October, Greenpeace East Asia revealed that China’s iconic giant pandas were under threat from rampant illegal logging in the world’s largest panda habitat. Shortly after this was exposed and thousands of people shared this disturbing news, the Sichuan Forestry Bureau began developing a strategy to make sure commercial deforestation doesn’t impact the giant panda’s forest home. Calilegua National Park protects 76,306 hectares of one of the most biodiverse environments in Argentina and is home to half the country’s birds, as well as endangered species like the jaguar. Still, the government had sanctioned oil drilling within the park’s boundaries. In December 2015, after more than 270,000 people (including these kids!) stood up to this plan, the provincial legislature sanctioned a law that canceled oil exploitation within the park! And this year, the governor has demanded a plan be made to close the oil wells. The Congo Basin rainforest is the second largest rainforest in the world, after the Amazon, and is home to forest elephants, gorillas, bonobos, okapis, hundreds of bird species and thousands of plants. The government of the Democratic Republic of the Congo is moving to lift a 14-year moratorium on new logging concessions in the country. The move could open up large parts of the second largest tropical rainforest in the world to a raft of threats from palm oil and rubber plantations to widespread industrial logging. That’s why international organisations like Greenpeace and local civil society groups in the DRC are standing together and demanding the moratorium be kept in place! Join their call and demand zero deforestation in the Congo Basin. These are just eight of the thousands of battles people are waging to protect forests around the globe. What forest are you celebrating this International Day of Forests? Tell us about it in the comments! Dawn Bickett is the content editor for the Americas at Greenpeace.